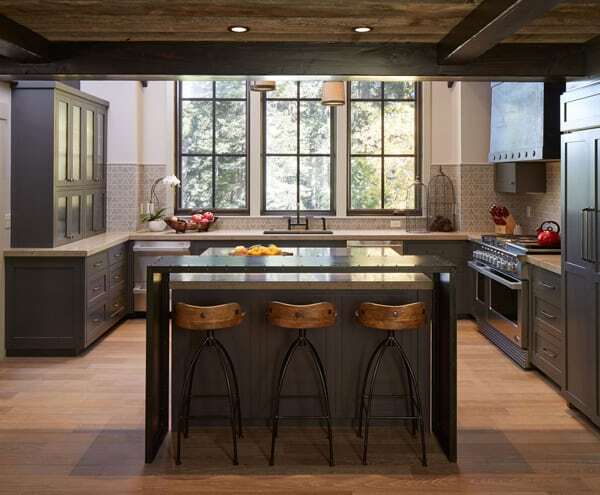 This rustic modern dream home was designed for a couple and their two children by Artistic Designs for Living in the Homewood Mountain Ski Resort, near Lake Tahoe, California. 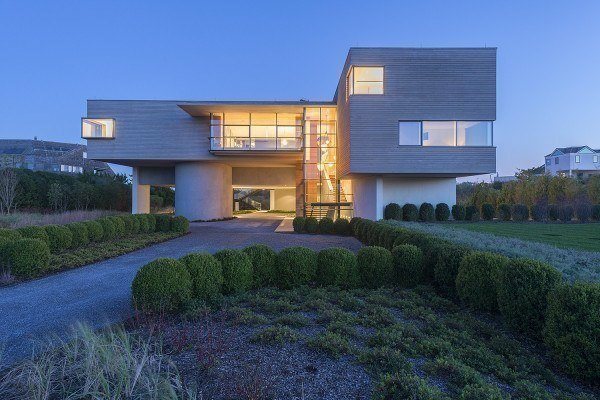 The property is comprised of 4,000 square feet, offering five bedrooms and four-and-a-half bathrooms. 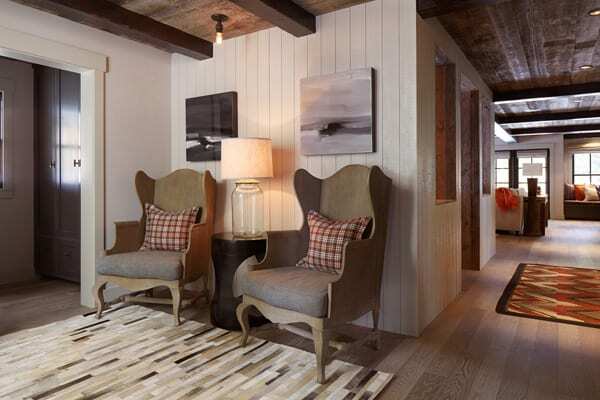 The clients were looking for a property that was in Tahoe, but they requested to have the design of their home not look like your typical Tahoe house —which is more of a mountain lodge aesthetic. 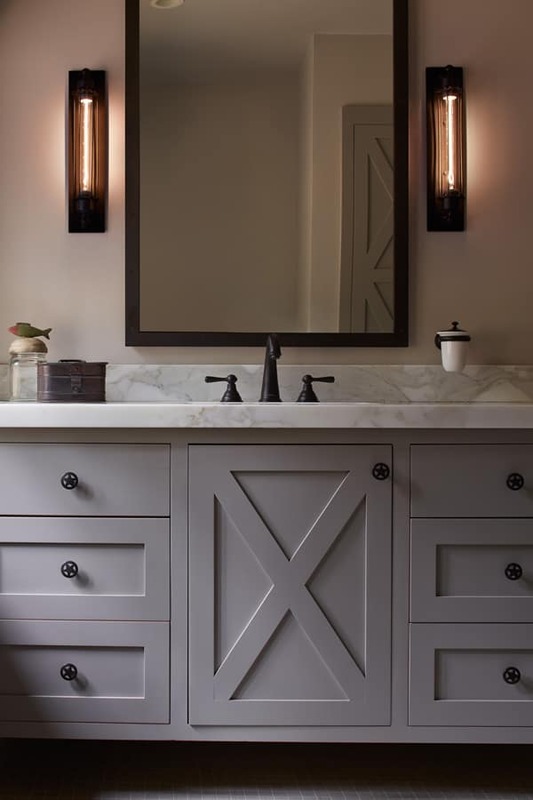 They were looking to have a more modern design and the designer gave them just what they requested, by referencing a look that’s more industrial and European rather than log cabin or mountain lodge. 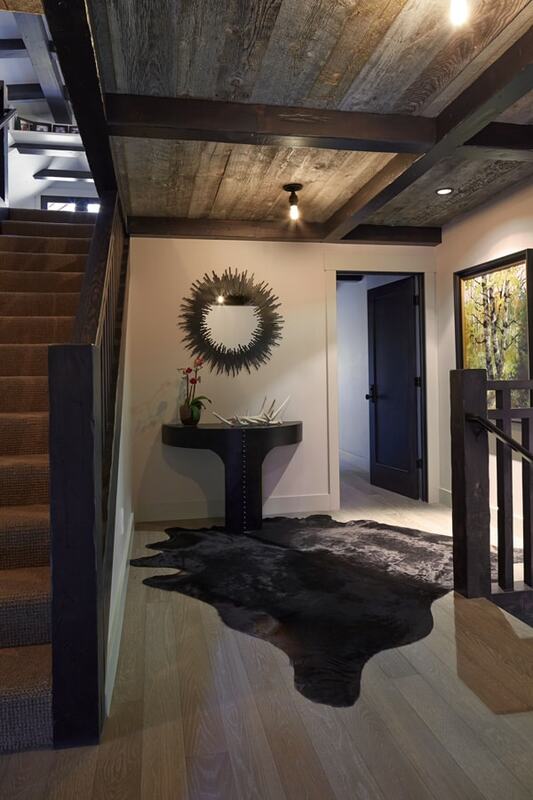 The entrance of the residence sets the tone for the rest of the spaces, as a ski home. 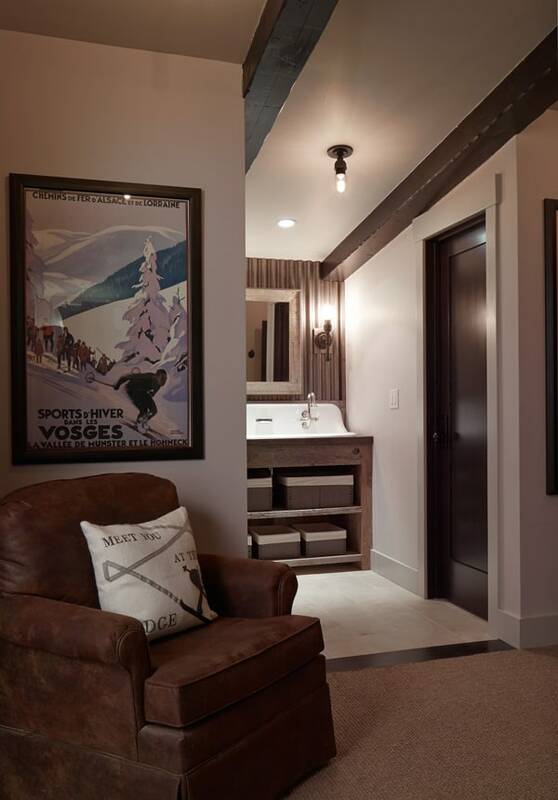 There are comfortable chairs to sit on for ski removal as well as a mudroom for convenient storage. 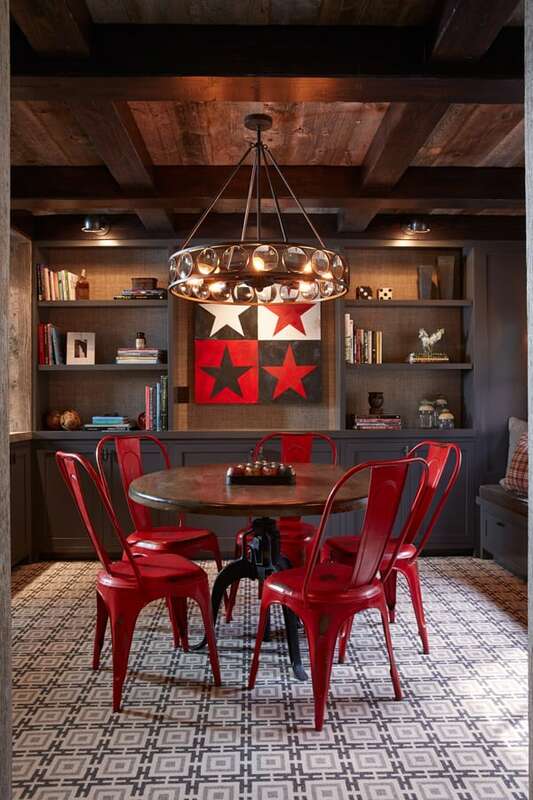 The dining room features an expansive built-in banquette for entertaining family and friends. 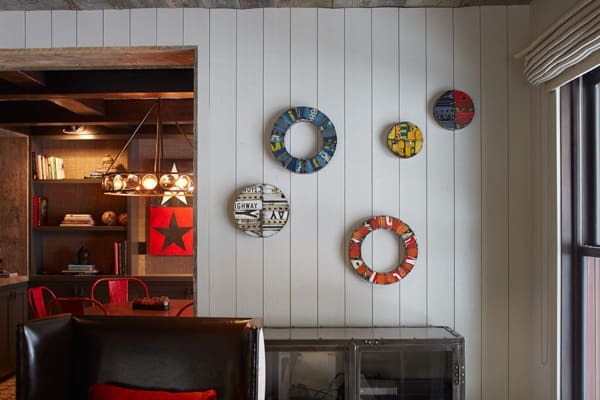 Above the table is a re-purposed ski lift seat that was found on the property and transformed into a fabulous light fixture. 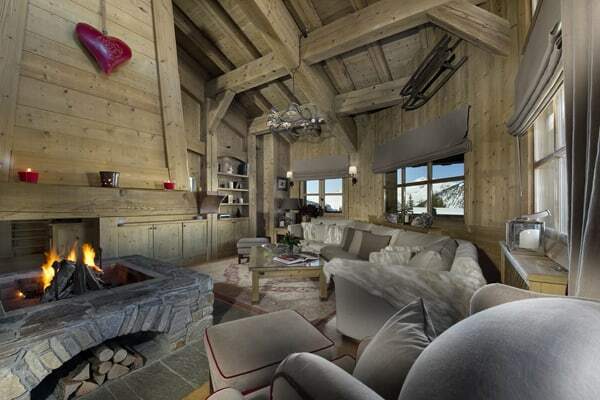 The living room was designed to be a more casual atmosphere, what a ski home is all about. 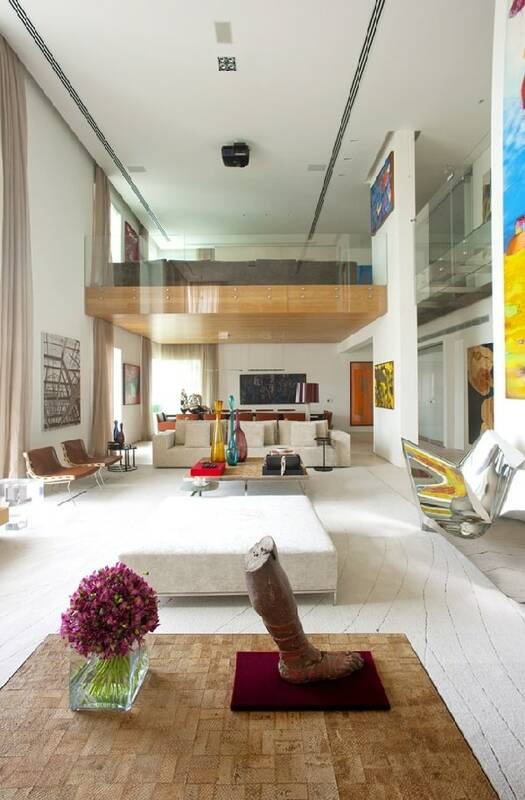 The space is meant for gathering with friends and family, enjoying conversation and entertainment. 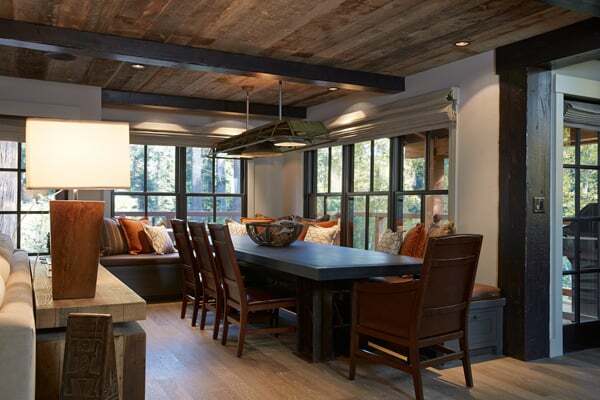 The low ceiling height makes the space cozy and warm, covered with wood and ceiling beams, adding to the rustic aesthetic. 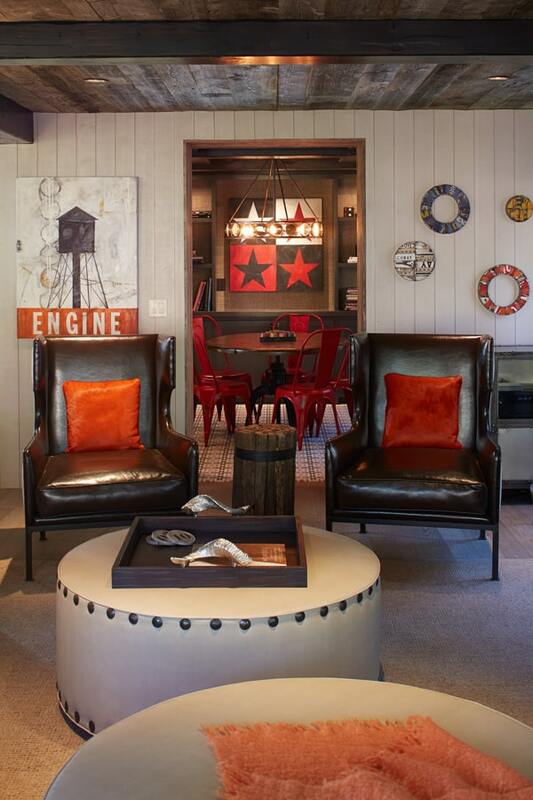 The focal point to the living room is the steel clad fireplace, which adds an industrial nuance to the space. 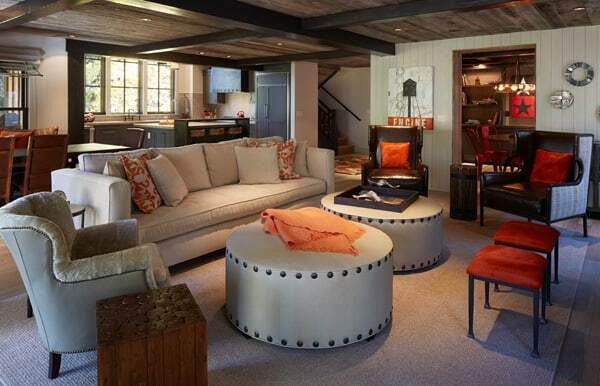 The designer added over-sized leather ottomans and small stools in front of the fire. Both can be used for additional seating space and as coffee tables with a decorative tray for enjoying a bite to eat and watching the fire create a soothing ambiance. 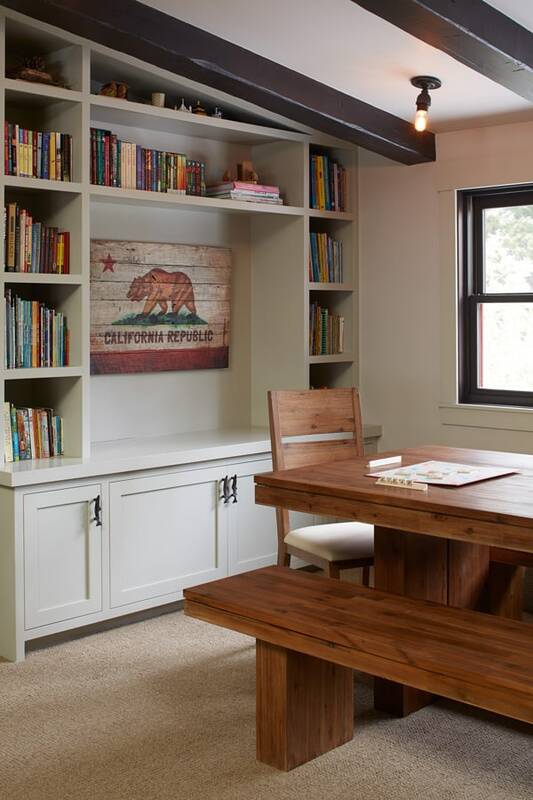 What was originally supposed to be an additional bedroom in this home was made into a game room instead. The space is conveniently located just off the living room, so the family of four can enjoy some entertainment before or after relaxing. The walls leading into the space were made extra think, used as display shelves. The patterned rug in the game room was selected for its reference to game boards, as Monopoly is one of the family’s favorite games to play. 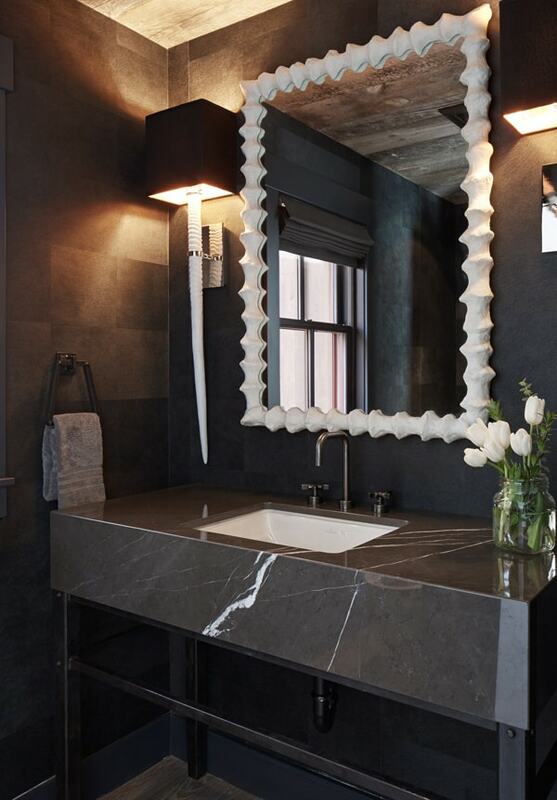 This powder bath features a mix of feminine and masculine design elements, with the dark marble countertops and the more feminine white-framed mirror. 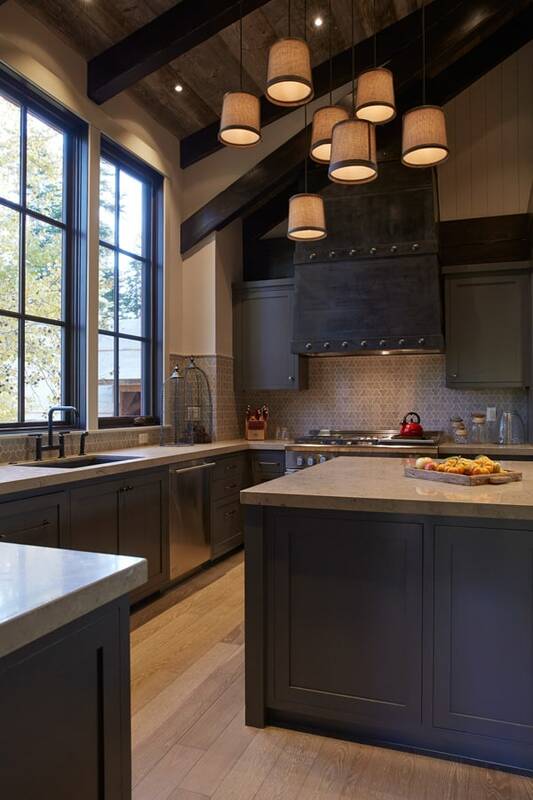 The kitchen features soaring ceilings and picture windows that captures the mature trees that surrounds the property. 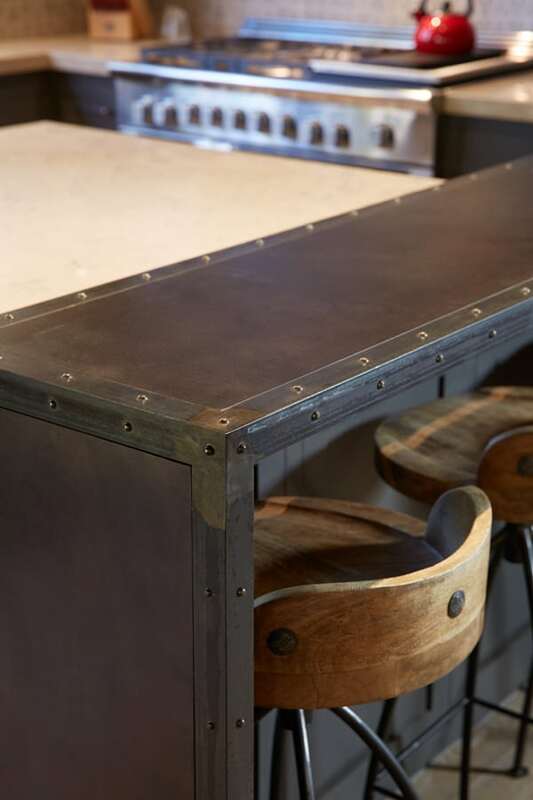 The hood above the range features a nod to industrial, lined with rivets, which also appear on the backs of the bar stools. 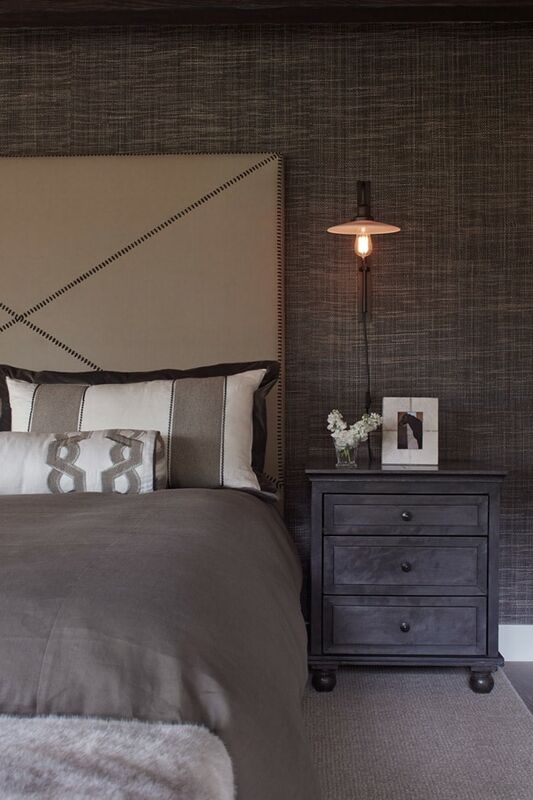 The master bedroom is very elegant, decorated in neutral hues with rich textures with adds warmth and coziness to the space. 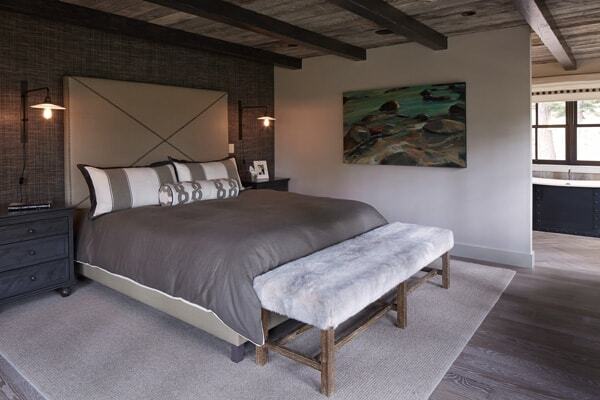 An accent wall is clad in grass cloth, while a plush bench at the end of the bed adds to the coziness of the space. 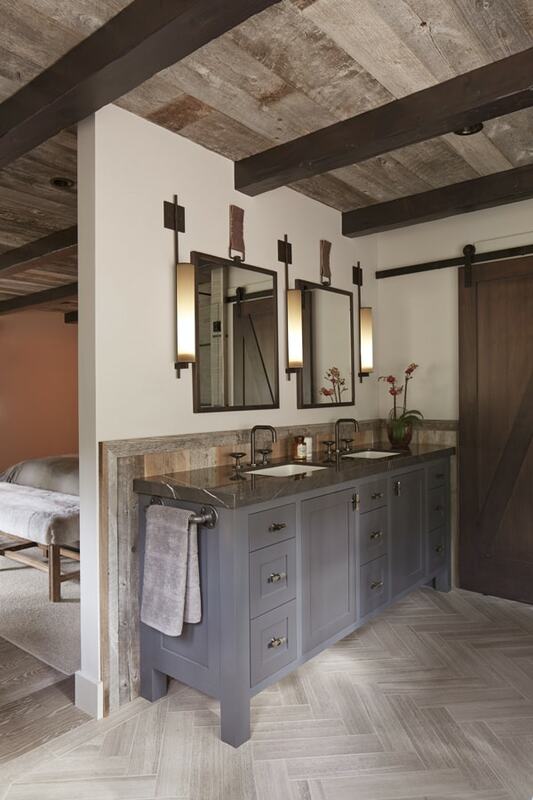 The master bedroom offers an en-suite bathroom, which features tile in a beautiful herringbone pattern. 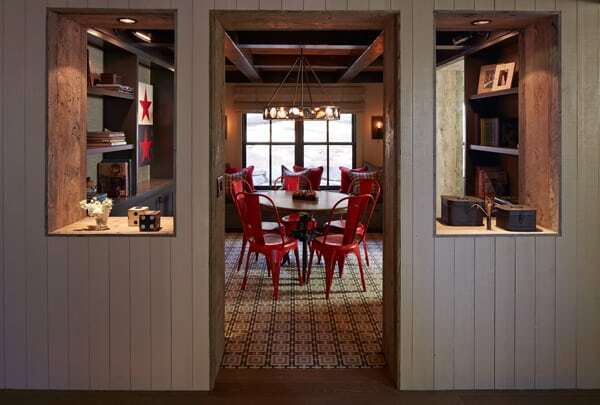 The designer was originally going to separate these spaces with a sliding barn door, but then opted to leave the spaces open to each other. 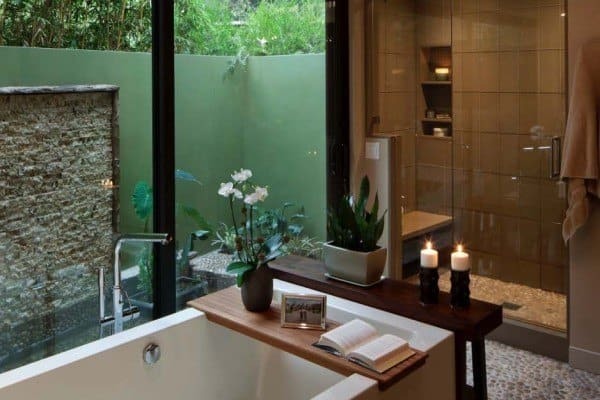 Picture windows in the bathroom captures the wooded views of the property and illuminates the space with natural light. 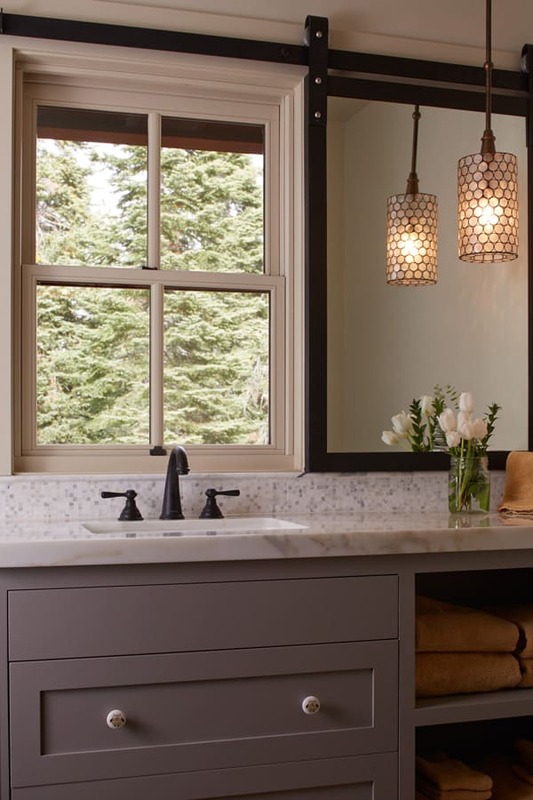 A built-in window seat adds a hint of luxury, and allows the parents a place to sit and relax while the children take a bath. The upper level features plenty of comfortable family spaces for relaxation and play. 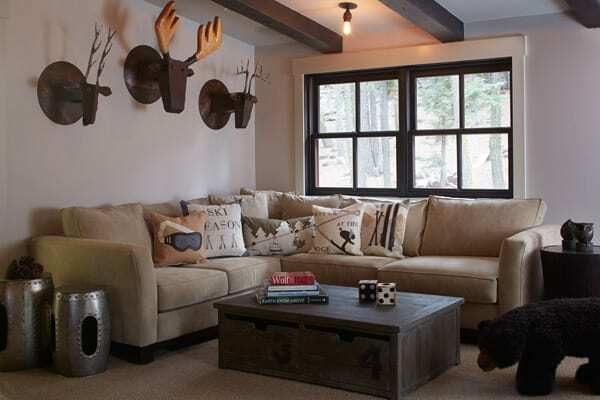 The designer infused a touch of whimsy to the space by affixing animal head sculptures to the wall above the cozy sectional. 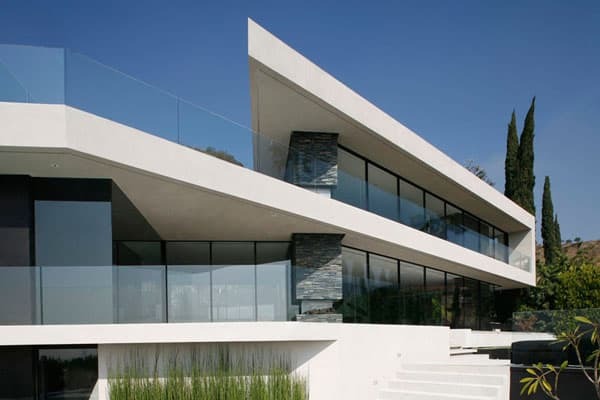 This home offers plenty of functional and storage spaces to house the families belongings, such as toys and games. 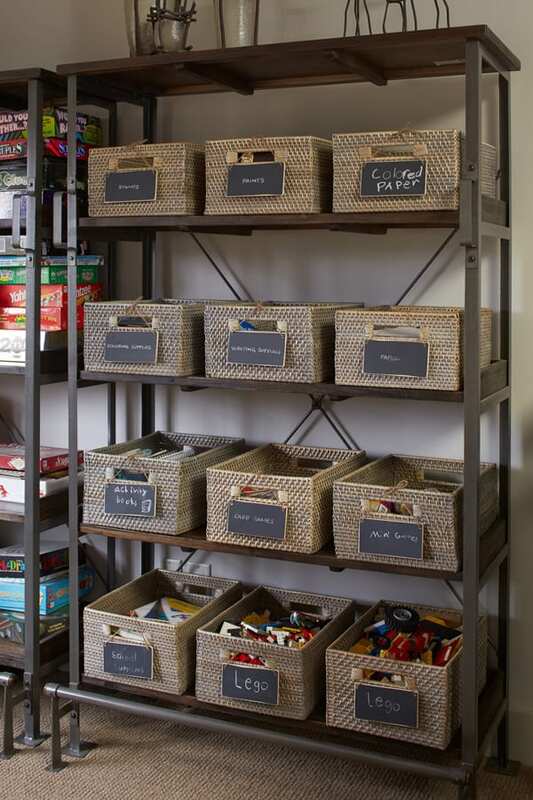 Pictured above, industrial style shelving units offers space to house woven baskets filled with games and toys, organized with chalkboard labels detailing what is inside. 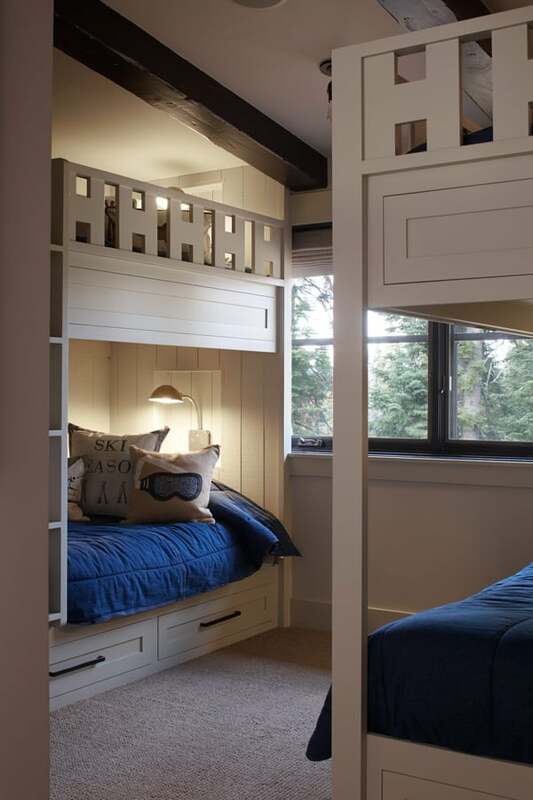 Bunk beds were designed in this home to host the many sleepovers that this family enjoys with friends and family. 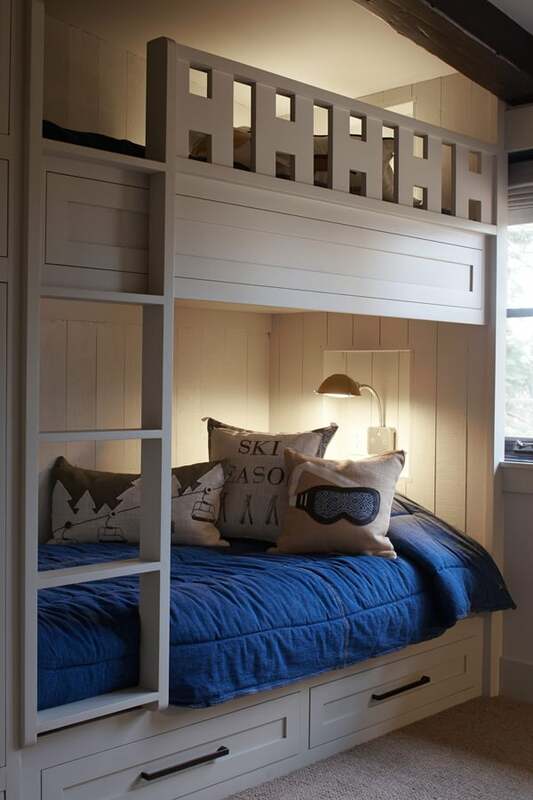 If you look up at the second bunk bunk, you will notice that the designer created the letter “H” on the wood rail, which symbolizes the first letter of the family’s last name. Very ingenious! Does anyone know who sells the brass and round glass chandelier in the Ralph Lauren inspired game room? Manufacturer? One thing I don’t like in any decor are the fake animal mounts. Use the real thing. If you don’t like real mounts, mount a nice picture instead. I see these faux mounts used again and again. 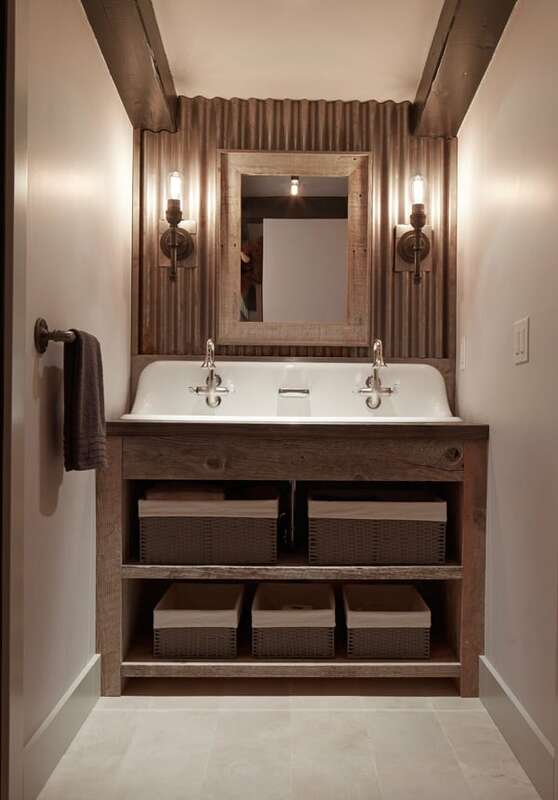 Hi Kristy, the shelves are from Restoration Hardware, the baskets are from the Container Store. Hope this helps! Hi where did you get the table and red chairs for the games room?